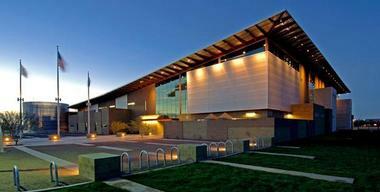 Chandler, AZ, a suburb of Phoenix, is home to unique museums, performing arts and fun activities. Go on a horseback riding adventure at Koli Equestrian Center, visit the Arizona Railway Museum, view Western American and American Indian Art at the Zelma Basha Salmeri Gallery, and stop by the Environmental Education Center. Best things to do in Chandler, Arizona, include the Tumbleweed Recreation Center, Rawhide at Wild Horse Pass and the Desert Breeze Railroad. Located in downtown Chandler, the Chandler Center for the Arts is home to a 1,500-seat theater that presents a calendar of shows, plays, presentations, and exhibitions of visual arts and media throughout the year. The center is one of the top Chandler attractions and functions as the arts center for the City of Chandler and the home theater for Chandler High School. Rotating exhibits and displays from over 350 local and regional artists are showcased in the Exhibition Hall and Vision Gallery featuring a broad range of different media, including ceramics, textiles, painting, sculpture, glass and metal. The Arizona Railway Museum was founded in 1983 and is dedicated to showcasing the history and heritage of the railroads of Arizona and the Southwestern United States. The museum features an extensive collection of railway-based artifacts and objects, including the Southern Pacific Railroad Locomotive No. SP 2562 and the Railroad Steam Wrecking Crane and Tool Car. 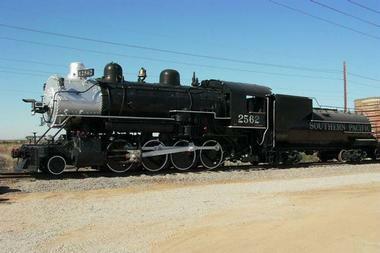 The Arizona Railway Museum is one of the best things to do in Chandler, Arizona. Visitors to the museum can explore the inside of some of the trains, such as the Santa Fe "Diablo Canyon" Coach Car and the Santa Fe "Plaza Taos" Dome Car's "Lounge Room" which was built in 1950. Koli Equestrian Center offers horseback riding adventures and experiences for all levels of riders. 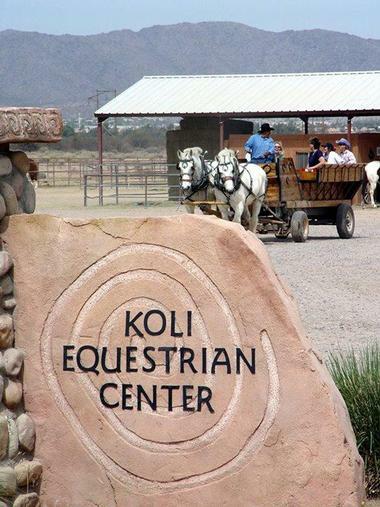 Situated on the Gila River Indian Reservation and just minutes away from downtown Phoenix, Koli Equestrian Center features spectacular natural landscapes and breathtaking vistas that can be enjoyed on guided outrides, private and group rides, wagon rides and special events. Friendly, experienced wranglers take care of every guest’s need, from pairing riders to the right horses to guiding visitors on rides around the ranch and keeping an eye out for wild horses at Wild Horse Pass. Riders receive instruction and safety briefings before heading out onto the network of spectacular desert trails, where the sunrise, sunset, beautiful landscapes, natural scenery and fauna and flora can be enjoyed. Koli Equestrian Center hosts Cowboy or Cowgirl's birthday parties, and provides Horsemanship 101 courses and enjoyable horse drawn hay rides for guests of all ages. The Zelma Basha Salmeri Gallery of Western American and American Indian Art is dedicated to showcasing contemporary Western American Art and contemporary American Indian Art. Home to over 3,000 pieces of art, the gallery boasts one of the world’s most extensive collections of Western American and American Indian Art. 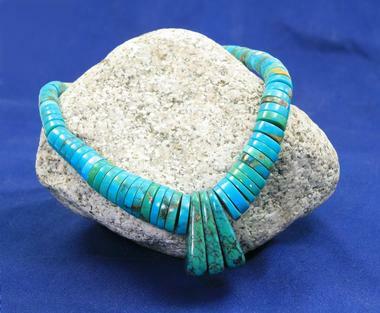 Featuring a wide variety of mediums from oil, acrylics and pastels to charcoal and watercolor, artworks and objects include pastel and charcoal drawings, silver and ceramic bowls, Apache and Pima basketry, Navajo and Zuni jewelry, bronze, wood and natural stone sculptures, and Hopi kachinas. 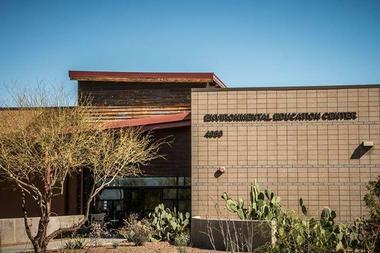 Chandler’s Environmental Education Center (EEC) offers a range of educational programming for nature, wildlife, natural sciences, health, fitness, and general ‘outdoorsmanship’. Based at the Veterans Oasis Park, which boasts 113-acres of beautiful Sonoran Desert landscapes, the center provides an opportunity to inspire, encourage and educate the public about the surrounding environment. If you are wondering what to do in Chandler, Arizona with kids, this is a great place to visit. The ECC features several classrooms, pavilion spaces with exhibits, and a display of wildlife that visitors can explore. Some of the signature events include the Earth Day and Arbor Day Celebration, the Sonoran Sunset Series, Dragonfly and Butterfly Bash, the Fall Fishing Clinic, Chandler Scout Jamboree and Outdoor Safety Event. The Veterans Oasis Park features a variety of diverse fauna and flora that live in both lush wetlands and arid habitats, as well as a network of hiking, biking and equestrian trails, shaded picnic areas and armadas. There is an outdoor amphitheater and a unique, learning-oriented playground, and an outstanding butterfly and hummingbird habitat. Based at the five-star Sheraton Wild Horse Pass Resort & Spa, Aji Spa is a luxurious spa and wellness center that offers a range of authentic Native American spa services. 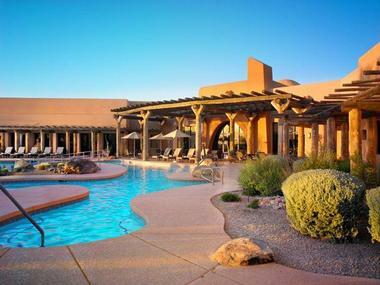 Named after the nearby Aji Mountain in the Gila River Indian Community, the spa’s name means ‘sanctuary’ and lives up to that name where sacred Pima and Maricopa traditions are practiced and shared. Echoing the ancient Pima and Maricopa cultures in the architecture, design, décor and artworks of the center, the spa offers a variety of spa treatments, facials, massages, nail and skin care packages. An exclusive Indigenous Collection features treatments designed by Pima and Maricopa Cultural Caretakers, such as Ho’ishp (a sacred prickly pear body treatment), Pima Medicine Massage, and Ongam Hobin (sacred salt wrap). Aji Spa also offers a range of gentlemen’s spa services, salon services, makeup applications for special occasions and fitness and recreation facilities. The Tumbleweed Recreation Center (TRC) is a family recreational facility that features a variety of sports facilities, games areas, classes, activities and events for visitors of all ages. The center has an indoor running track, state-of-the-art gymnasium, two racquetball courts, several exercise and dance studios and modern locker rooms and changing facilities. Classes and programs include exercise and dance classes, youth programs and summer camps, SilverSneakers exercise programs for senior citizens, and an exclusive Child Watch program allows for parents to enjoy some exercise while their little ones are safe. Featuring an array of attractions, retails stores and one of Arizona’s best steakhouses, Rawhide is a family-friendly tourist attraction in the form of an 1880s western town that gives visitors a taste of the Old West. Stroll around the town and take in the old buildings, saloons, and stores; watch a show at the Six Gun Theater and witness gunfights, daring falls, and all the antics of the Wild West’s Rough Riders. Enjoy a hearty meal at The Steakhouse, one of the top restaurants in the area. Browse the little stores in the town where you can purchase western gear and clothing, candy, gifts and sundries that represent the spirit of the west. The Bob Bondurant School of High-Performance Driving offers classes and lessons to learn how to drive high performance cars. The school provides a range of courses from racing and off-road driving courses to karting, military, tactical and teen driving programs. There is also a technical course for car enthusiasts who want to learn more about power, torque, and tech. Based on 60-acres of ground with a bespoke 1.6-mile racing track designed by world champion driver Bob Bondurant, the driving center offers a range of vehicles to choose from, classroom facilities for theoretical classes, and an on-site maintenance facility to ensure all the cars are in excellent condition. It also offers knowledgeable, enthusiastic instructors, and a unique pit side classroom and crew for a truly interactive experience. 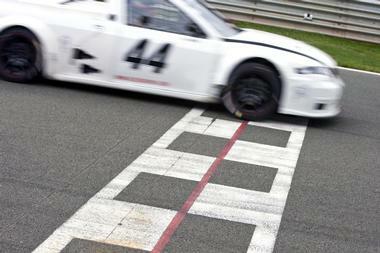 The Bob Bondurant School of High-Performance Driving also offers group events, team-building, and themed parties. 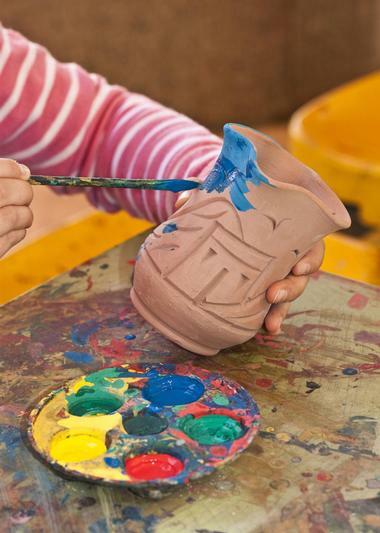 Located in Historic Downtown Chandler, Burst of Butterflies Paint Your Own Pottery and Art Studio presents a variety of canvas, ceramic, porcelain and pottery classes for all ages. Established as an outlet for creativity and to support and promote local arts and culture, the family owned art studio presents an array of art and pottery-based classes, including canvas painting, candle making and glass fusion. There are classes for couples, singles, and groups. A large outdoor patio is a perfect place to enjoy outdoor painting and group art events. Generally classes need to be booked in advance, however, there are ‘walk-in’ ceramics and canvas painting classes that can simply be joined without reservation. 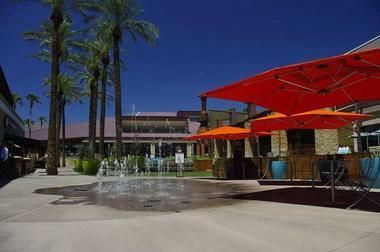 Home to more than 180 retail stores, Chandler Fashion Center is a premier shopping destination in the Southeast Valley. Located on Chandler Boulevard, the center features four department stores - Dillard’s, Macy’s, Nordstrom and Sears – a wealth of high-end brand stores such as Ann Taylor, Sephora, Banana Republic and Michael Kors, as well as restaurants, cafés, bars and other shops. Dining options include California Pizza Kitchen, The Cheesecake Factory, Wildflower Bread Company and Kona Grill while stores like LEGO and The Disney Store will keep the kids occupied for hours. The Chandler Fashion Center also hosts a variety of events throughout the year, such as free YouthSpark camps and monthly workshops at Microsoft, Lululemon complimentary yoga and fashion shows. SanTan Brewing Company is one of Arizona’s favorite craft breweries. 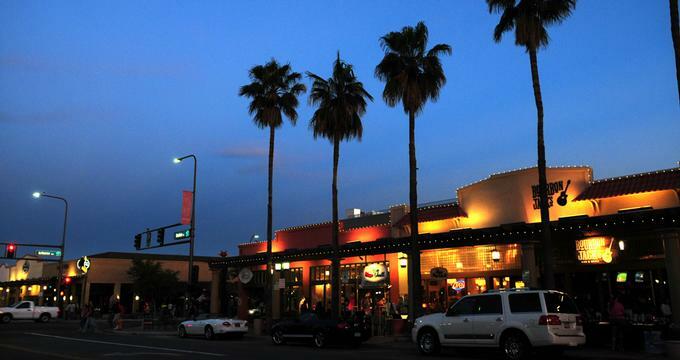 Established by Brewmaster Anthony Canecchia in 2007, SanTan Brewing produces and distributes Southwestern Style Ales throughout the state of Arizona, as well as pairing craft beer with craft food at their friendly neighborhood Brew Pub located in Downtown Chandler. Featuring exposed brick walls, air vent pipes and simple wooden tables and chairs, the Brew Pub serves a creative menu of craft food made from locally sourced ingredients. Tuck into small plates of nachos, sliders, tostadas and chicken wings, followed by signature burgers and pizzas, handcrafted sandwiches, fish and chips. and shrimp and grits. A full-service bar and an impressive wine list featuring local and international wines, craft beers, and cocktails are all available during Chandler’s popular Happy Hour. The Brew Pub is open for breakfast, lunch, and dinner and hosts special events such as Monday Movie Night and beer festivals. 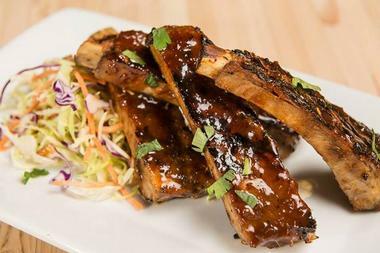 Modern Asian meets American comfort in Ling and Louie’s Asian Bar and Grill. Owned by partners Ling and Louie, the celebrated restaurant can be found in six locations across the country, serving a comprehensive menu of traditional Asian-American fare for lunch and dinner. From Hand-wrapped Pot Stickers and Loaded Nachos for starters to New Wave Pad Thai and Ling’s Meatloaf for entrées, whether you feel like East or West, Ling and Louie’s has it all. 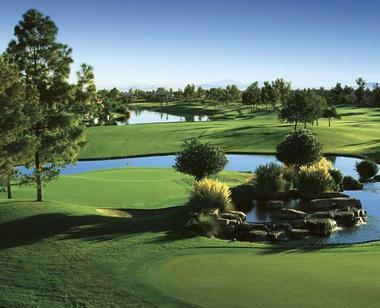 Ocotillo Golf Resort is an award-winning golf course designed by Ted Robinson which opened in 1986. The course features fairways with lush surrounding landscapes of cascading waterfalls and colorful flora that are in striking contrast to the valley’s desert scenery. Ocotillo Golf Resort features three nine-hole courses that can be played in various combinations, each laid out in formations that create birdie opportunities for golfers looking to challenge themselves. The golf club also boasts a full-service clubhouse with an award-winning golf shop, men’s and women’s modern locker rooms and Bernard's Restaurant & Bar. Golfers can make use of outstanding practice facilities, which include a driving range, putting green and chipping green, as well as enjoy private and group lessons from professional golf instructors. Nando’s Mexican Café is an easy-going, family-friendly restaurant that serves authentic and traditional Mexican cuisine, and tequila-inspired cocktails. 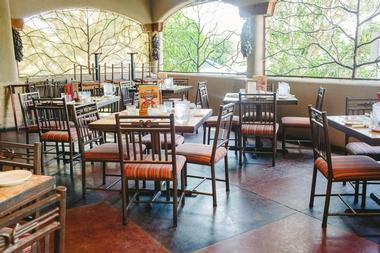 Bright and airy, the restaurant boasts a warm and welcoming atmosphere with a menu of Sonoran-inspired dishes that include tacos, fajitas, enchiladas, chimichangas, and chipotle barbecue ribs. There is also a choice of Mexican-inspired burgers, sandwiches, pizzas and platters, as well as seafood and barbecue meat dishes. Combo platters are ideal for sharing with family and friends while a range of side orders such as cilantro slaw, jalapeno cheese toast and pico de gallo are the perfect accompaniment to any meal. Finish the meal with chocolate nachos, nutty banana flan or deep-fried ice cream, and a shot of mesquite or tequila. 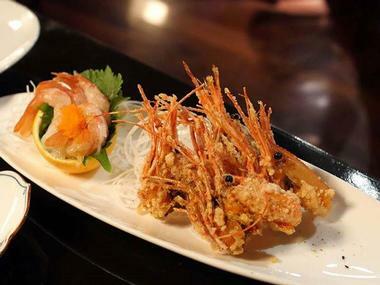 Shimogamo brings the best of fine Japanese cuisine to Chandler with an unforgettable dining experience. Owner and Executive Chef Sanae Otomo has created a menu that reflects the deep-rooted culture and heritage of Japanese cuisine, from fresh, made-to-order sushi and sashimi to small plates and entrées. Start with miso soup and squid salad mixed with mountain vegetables, followed by small plates such as small plates such as pan-fried dumplings, assorted tempura and fried oysters and entrées like teriyaki spare ribs, grilled black snapper or deep-fried chicken cutlets accompanied by rice or noodle sides. The Japanese-influenced beverages list offers a range of hot and cold sake, shochu, beer, plum and other wines. Located in Desert Breeze Park on Desert Breeze Boulevard, the Desert Breeze Railroad Express is a replica engine from the 1880s that offers rides around the park for both children and adults. With open-air coaches for added comfort, the train chugs around Desert Breeze Park on a scenic three-quarter mile tour, cruising past grass parks, lakes, and an old western town. The park also has a beautiful antique carousel resplendent with over 30 painted ponies to take a twirl on to the sound of music. Stop by the snack bar, which serves a variety of light meals, snacks, and drinks, or host a birthday party for kids ages 2-10 at the park. 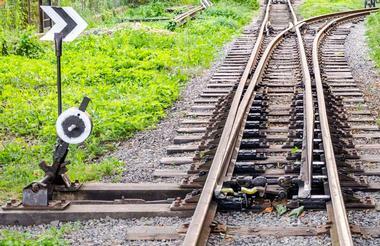 The train runs on weekends from Labor Day through Memorial Day.